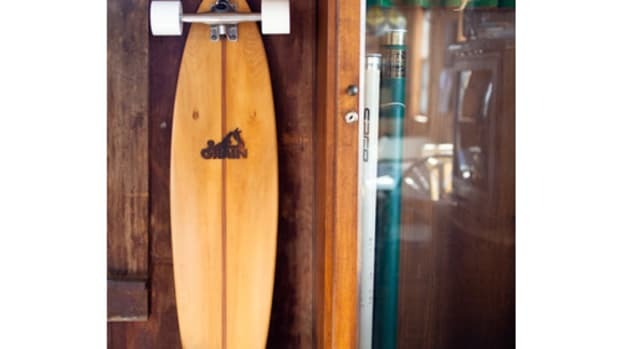 NY-based Salt Surfboards adds a selection of well-designed skateboards to their S/S &apos;14 collection. 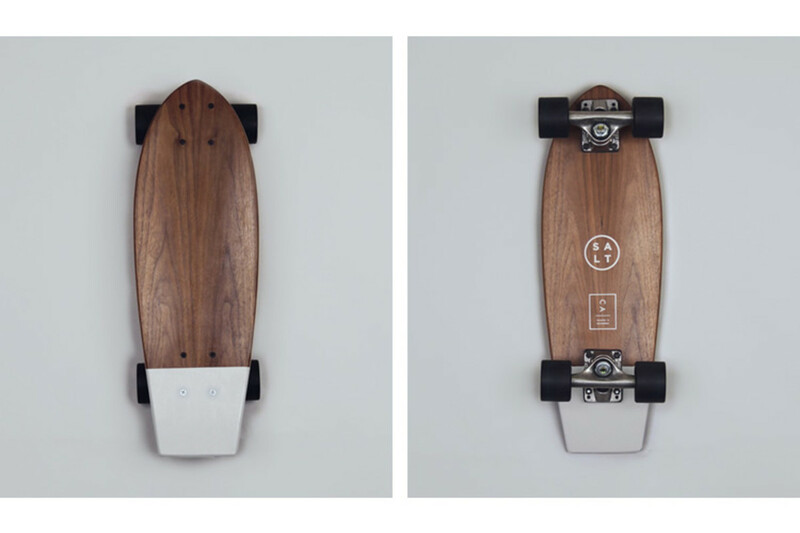 The boards are made from 100% walnut top and bottoms which sandwich layers of maple veneer for a solid, all-wood construction. 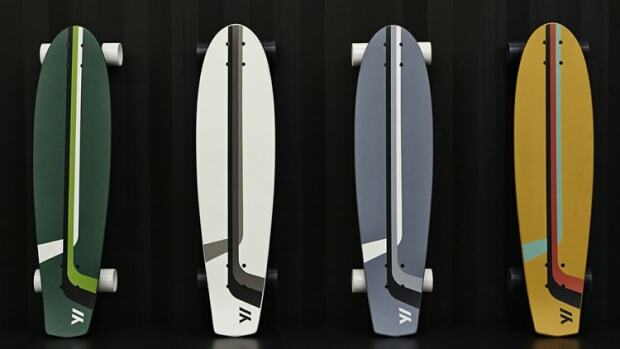 The top of the deck is sprayed with a clear grip tape coating and the subtle kick in the tail is dipped in your choice of pigeon grey, mint, or mustard.